Late February/ early March means a couple of things. One, it's still too cold outside and two, post season basketball is underway. 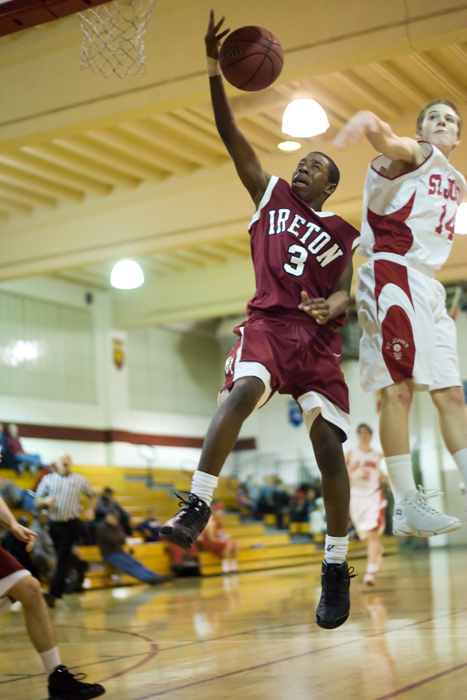 St. John's and Bishop Ireton began the festivities with a play-in game last Thursday night. St. John's was able to move past Ireton and onto the next round where they play Gonzaga. Shout out to the lights in Gallagher Gymnasium at St. John's College High School that make it impossible to get the color balance correct. They always have great expressions...but this batch especially. yikes.